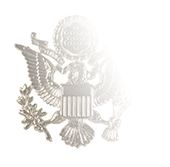 Worn on the Armed Forces Reserve Medal, the “M” Device was created to recognize instances where members of the Reserve Components of the Armed Forces of the United States have been called to or volunteered to serve on active duty supporting specific U.S. military operation or contingencies as designated by the Secretary of Defense. 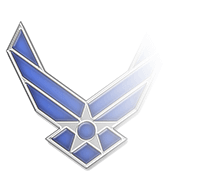 Active Guard Reservists who are ordered to change their current duty status (i.e., the legal authority under which they perform their duties), their duty locations, or their assignments in order to support a contingency operation are considered eligible for the “M” device. 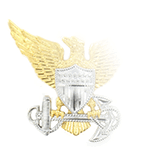 Published in June 2015, Army Regulation 600-8-22, Military Awards, has a list of operations that qualify Reservists for the “M” Device, with the most recent being Operation Inherent Resolve. But regulations make it clear that an operation does not have to be given an official name in order for a Reservist who volunteers or is called to service for it to receive the “M” Device. The rule is simple: if the operations results in an involuntary call to active duty, the “M” device is authorized. Servicemembers qualifying for the “M” device are awarded the bronze device positioned on the medal’s suspension ribbon and the service ribbon, along with a number placed beside it indicating the number of qualifying mobilizations. 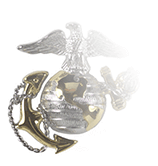 Multiple service periods during a single designated operation count only toward one “M” device. If a recipient of an “M” device has also earned the 10-year or “hourglass” device, the hourglass is placed in the first position (to the wearer’s right), the “M” in the middle, and the bronze numeral to the wearer’s left. 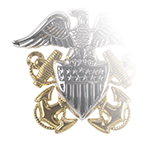 In the Coast Guard Auxiliary, the “M” device is used to reflect an Auxiliarist’s service in activities that support marine security, safety, and environmental protections and safeguards, and is worn on the Annual Service Performance Operations Service Award. Auxiliarists must garner at least 200 points carrying out such tasks conducting vessel examinations, with each exam worth between 4 and 10 points depending on the type of vessel. General activities spent in missions in the Marine Environmental Protection (MEP) or Marine Safety (MS) categories are worth one point per hour.